Hello everyone! I'm back!! I hope you're all having a great week. The best part of the lightweight options (from Uniqlo, Barbour and the North Face) is that they are especially thin so you don't feel like a marshmallow walking down the street. Stay tuned for Friday's post where I show you how to style a puffy vest! They are!!! I've had this one for a couple years and I'm glad I've kept it! Thank you for reading! I know what you mean--I can't decide if they're really my style either. Just got a red one at Gap on super sale that I'm debating about keeping. They aren't the most flattering... but they are awesome for layering. Those are some cute options! 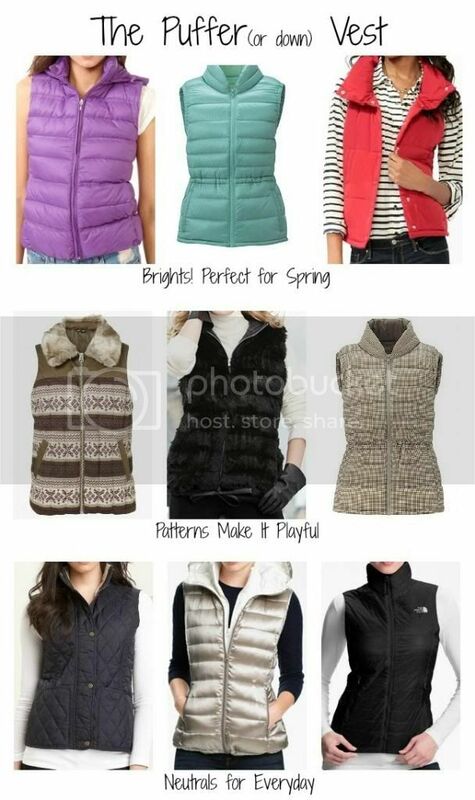 I think to be super flattering you have to go for one of the ultra-lightweight thin vests! I am actually really wanting a red one after I found that Forever21 vest - it's such a great pop of color!